The Hermaphrodite in its permanent inconclusiveness is the figure of an unrest. It is in permanent transition. It needs the world around it, its definitions and constitutive powers. So it can cause a turbulence in the order of things. Meanings start to drift in its presence. Culturally the Hermaphrodite is not allowed to live or to be itself, it proposes an obscene error. It is not a useful creature. But it also generates a stage for debate and discussions, it radicalizes existing positions. Art as Hermaphroditism has to constantly reformulate a standing in society by affirming the unstable ground of its position. The workshop "Art as Hermaphroditism" investigates the figure of the Hermaphrodite, its myth, its potential for artistic processes and its presences in our society today. 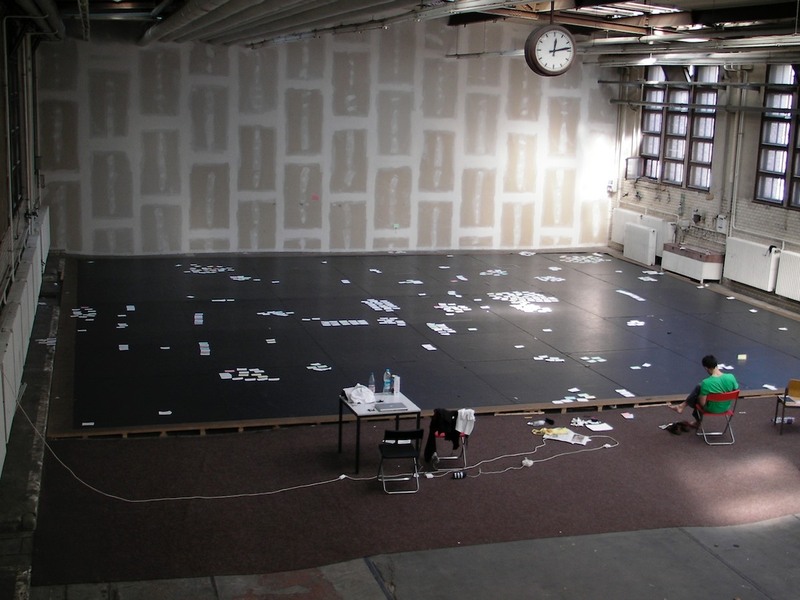 The workshop is based on reformulation, a writing practice for choreographic processes invented by deufert&plischke. Kattrin Deufert & Thomas Plischke This duo has been collaborating since 2001 as an ‘artistwin’. Together, they have made numerous performances, video works and installations, which toured internationally. A.o. the trilogy Directories, inEXhaustible, Reportable Portraits, and the ANARCHIV series. In 2009 they published Monstrum. A reportable Book together with Sandra Noeth, which comments on and documents the production of Reportable Portraits. In 2010 they launched the Emergence Room project at Mumok, Vienna. Deufert&Plischke teach workshops on composition, movement and aesthetics at various art institutes such as KhiB in Bergen, P.A.R.T.S. in Brussels, ‘Kunsthochschule fur Medien’ in Koln, Kabelvag Filmschool in Lofoten Islands, ‘Tanzquartier’ in Vienna. They were guest professors at the Department of Performance Studies at the University of Hamburg and at the Institute for Applied Theater Science at the University of Giesen. Since 2010 they are professors at the Inter University for Dance Berlin (HZT), where they run the BA course ‘Contemporary Dance, Context, Choreography’ together with Nik Haffner.